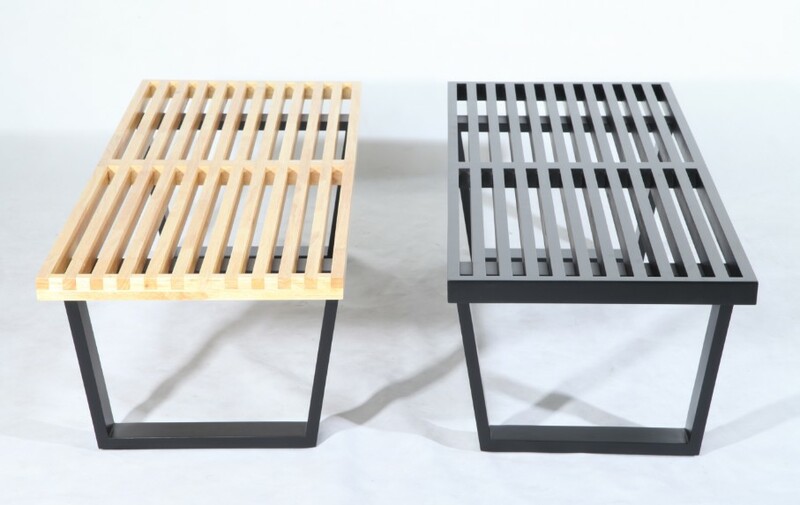 - Two black lacquered bases with glides, the bases can be in solid wood or metal. 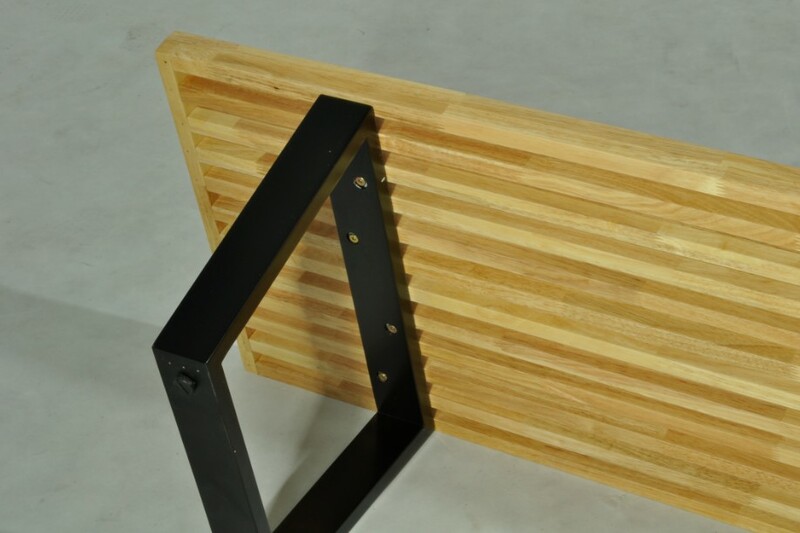 - A versatile piece, it is appropriate for a variety of uses throughout the home or office. 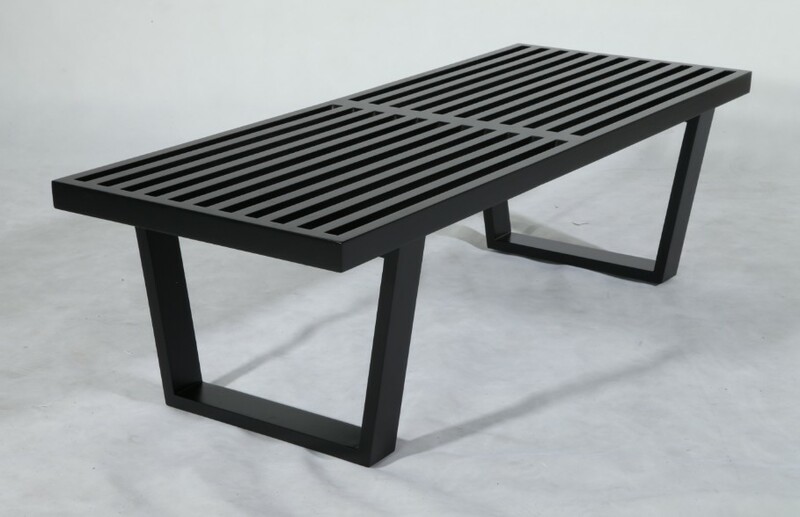 - George Nelson’s Platform Bench (1946) is one of the great icons of mid-century modernism. 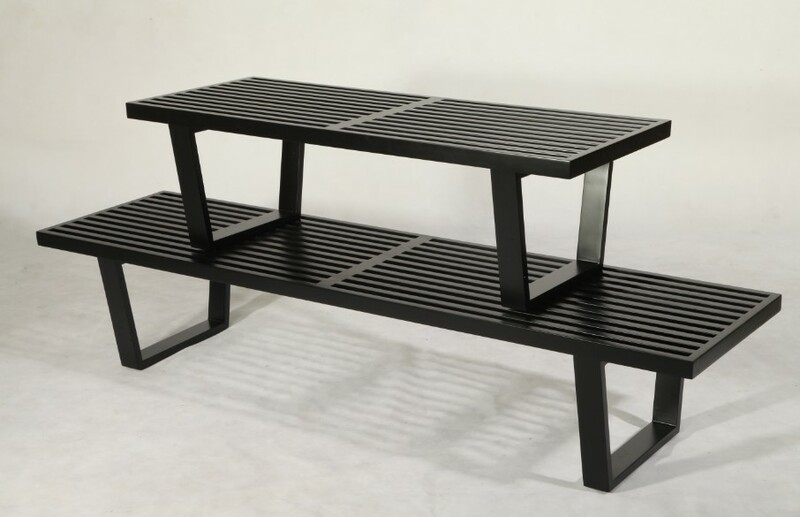 For Herman Miller’s influential design director, utility was as important as beauty, and his spare rectangular bench is the result of this belief. 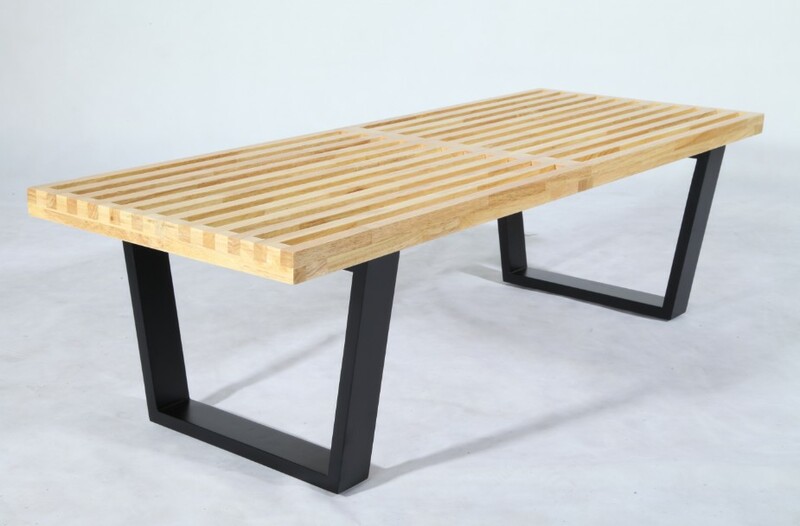 It serves equally well as table, platform base or seating, depending on need and situation. 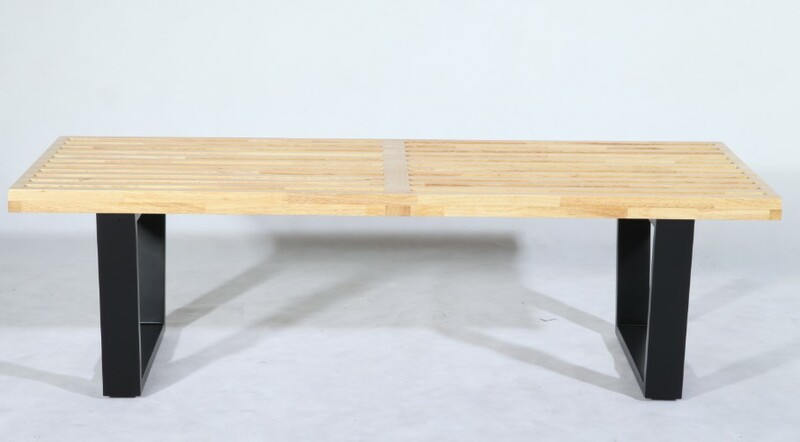 No wonder it’s been called timeless; something this functional never dates. 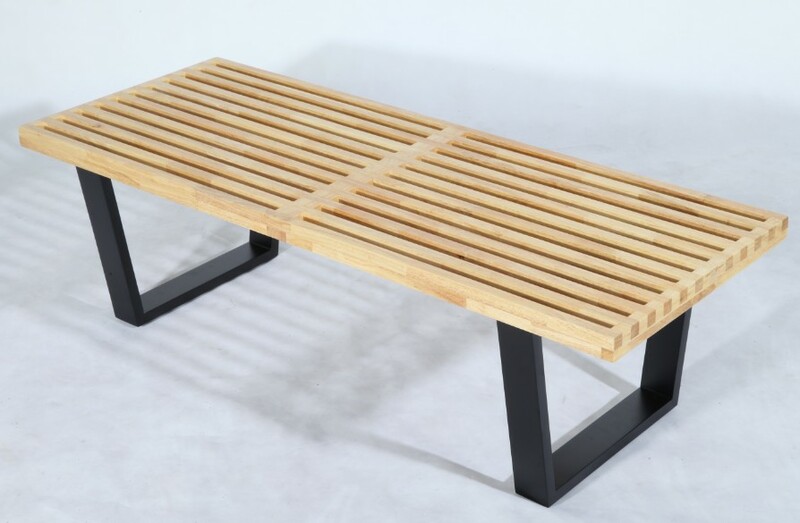 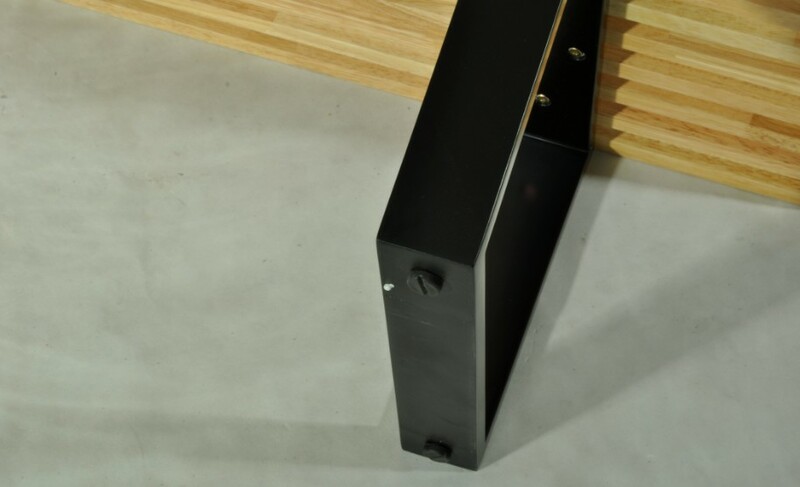 The Platform Bench’s legs are ebonized and finger-jointed for superior strength; also available with metal legs. 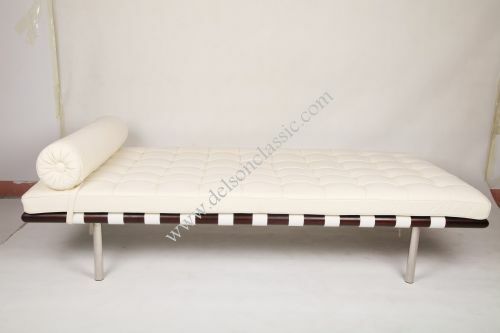 The optional Bench Cushion is upholstered in felt to add comfort and color to this iconic piece.